I like the ability to smartly utilize the software virtualization layer to best serve our company. We use AD, remote support and Network Management servers all in one footprint by using the power of virtualization. Restorations of existing virtual servers can be a little tricky depending on the applications or services they were running prior to restoration. SQL database servers need a little more attention, but all in all, it is an easy process. One of the best virtualization software management tools out there...hands down. Never had any issues with it. Consolidation of physical systems and reducing our energy costs after our move to a new location was paramount. We were able to consolidate 4 physical servers, two rackmount servers, and two chassis server boxes, into one Dell VRTX system with two blades. One blade is running all of the existing server software and applications and each of them are virtualized. "VMware vSphere - transform the way you build, deliver and consume information Technology"
i like to manage all of our virtual machine in our environment dynamic and simple way. web interface is more user friendly to manage vSphere . easily move virtual machine from one host another host without downtime. The cost of Licences is more expensive and Hardware requirement can sometimes be very high.The trial version of the product is limitation . Don't go with other product just go with the Vmware vSphere its better solutions for your infrastructure .This is one of the best Virtualization in the Market. you will get documentation for you reference in the VMware portals. "vSphere - The Comprehensive ESXI Management Tool"
I have begun to enjoy the new web interface introduce with v6 and enforced by 6.5. It took a while to get used too, but now I find that it is much easier to navigate through all areas of administration in vSphere. It is also great to have a central point of management for all your ESX hosts. I dislike that the HTML web interface is only partially functional - as it seems to be much more fluid than the Flash version of the website. We are using VMware vSphere to manage all of our ESXi hosts. We have realized the benefit of the VDS (Virtual Distributed Switching) utilities as well, making it much easier to manage the switching on a host to host basis. "Monitoreo y administración de maquinas virtuales"
Lo sencillo de su browser, no es complicado al buscar las cosas, y cuando agregas una LUN te aparece inmediato y la asignas a una maquina virtual sin muchas complicaciones, ver la capacidad y configurar tus maquinas virtuales, tanto en Linux como en Windows. Moverlas de un HUB a otro rapido, a la hora de hacer mantenimientos excelente. Con los ojos cerrados les recomiendo que adquieran estos productos, son de excelente calidad y lo mas importante son estables, me consta, mi experiencia trabajando con ellos lo dice todo. Casi no me da tiempo de monitorear, pero cuando lo hago todo esta bien, claro una buena configuración inicial de tus maquinas virtuales y buenos equipos en cluster te dan mas tranquilidad. "Best management virtual host software "
VSphere is obviously the tool we use to manage all of our virtual machines in our VMWare environment. It's cost-effective and the deployment is faster and more convenient. We use VMWare vSphere at my business now for the last few years now and have implemented across the whole company now and all our servers because it makes our servers hardware independent and if we ever have a problem, we can restore our servers from a VM backup quickly and easily without any reconfiguration. When we have a hardware failure, we simply move the server VM to a different vSphere host effortlessly. I like it because in one way or another I guarantee the life and continuity of my business, allowing to work harmoniously with my IT infrastructure, adapting it when required, during the implementation of this vsphere project, we use esxi cm seed to make the full deployment of The entire suite including vcenter for centralized administration. something that disgusts me without a doubt is the cosotoso of his license, having as seed esxi, which uses linux platform, but nevertheless one thing compensates the other the calmness that vsphere gives me, thanks to a good implementation and configuration guarantees continuity of the business. vsphere is the best software to virtualize our infrastructures, without a doubt I highly recommend it to the vmware virtualization standard. in the company the vsphere solution was implemented, to update our blades, and turn them into clusters, for the total and centralized administration, thus allowing to migrate virtual machines between cluster and manage our data storage, thus allowing to guarantee stability and operation to our clients. I like it because it allows me to manage my infrastructure in a dynamic and simple way, connecting through its different clients, both the client vsphere, and its web client I can manage both the esxi, as the center of vcenter, being able to create virtual machines to manage dynamically my hust, and move the machines between the clusters. the only thing that sometimes prevents the implementation of vsphere on our blades is the cost of their licenses, but nevertheless she complies with all the things that they offer, the savings, for energy consumption since from a blades I can implement through machines virtual solutions that I had to do for each server, now I do everything in a centralized and more direct way reducing the costs of both electric consumption and air conditioning facilities. I highly recommend the solutions that VMware provides, it is worth noting that it is the standard of virtualization, in the market and without a doubt it gives you security and continuity in the business for the future, and scalability of your platform so that it does not get lost in time. I say! use vmware. We are currently deploying all our blades infrastructure, in each esxi host, for the installation of vsphere, and later centralizing with vcenter, these solutions will make our data center always have high availability and hot migrations at the time of any failure in addition to vmware storage vmotion, and vsan for the complementation of our infrastructure and provide a better service to our customers. "responds more quickly to business needs." during the implementation I found it a bit easy to deploy, with esxi as support and seed, then I activate your license and I manage it with vmware vsphere client or from the web client, it allows me to manage the resources of my host, to get more advantage to the benefits of my blades, it should be noted that the high availability features between hosts are guaranteed with this implementation. the disadvantage that I see this suite is the cost of the license, but the benefits that my platform offers are unique, ensuring the continuity of the business stability is everything in the IT world. currently vmware is the virtualization platform, most used worldwide is a software that does not need a letter of presentation simply the best of all. Currently our infrastructure is being deployed with vmware vsphere, and as a central administration box and other vcenter benefits, management makes me more simple and dynamic, create modify, import and export virtual machines, allows me to continue with the business and have order in the templates, for the administration of my vm.
" virtualization technology for the data center." Improvements in the accessibility and connectivity of computer applications. Optimization of resources and cost savings IT. through the consolidation of servers, and automated management, which allows to reduce property costs, increase energy efficiency and improve operating costs, reducing downtime, which has an impact on improving operational efficiency by reducing risks. You will be able to virtualize your resources of x86 servers and grouping them in logical pools for the assignment of multiple workloads. the price of a paid solution from vsphere is a bit high. The hardware requirements can sometimes be very high, which limits the implementation for home experiments. the best tool for the virtualization of your IT infrastructure, saving you energy consumption and making the most of your hardware resources. Currently our company virtualizes with ESXI and with the vmware vsphere client we manage the virtual machines centralized by the vcenter, it should be noted that the administration environment is easy and simple interface, your web client administration is one of the advances for the different operating system platforms. "Best virtual server hosting environment hands down." VMware has proven to be a leader in virtual server arena for the start. Vmotion for storage and compute is one of the best features as it allows for better system resource management without shutting down your virtual machines. The snapshot capabilities are great for backups, software changes or having some peace of mind when making changes. Costs are based on hosts and processors. VMware can be on the higher side especially when some virtual hosting software is free but I don't believe they are in the same ball park when it comes to performance and features. Vmware is great for medium to large business use. May be costly for small business. Please be sure to understand your business needs to correctly obtain licensing models. Hardware consolidation was our main goal. As our environment grew we needed the ability to provision more servers but did not want to purchase additional hardware. Vmware has also provide a single management plane when it comes to virtual hardware and operations. the implementation of some servers that we have, as well as those that we manage in the company are virtual or virtualized, since it is easier to access the servers that manage the active directory and other servers that are in our network and, thanks to its composition of hardware, saves us a lot of space. "the solution to your data center." allows me to manage my data center in a more efficient way using the full potential of emissers, it is worth mentioning that the administration can be done by connecting directly to the esxi or vcenter, esxi as the basis for both, to take full control of my host. Without a doubt the only disadvantage that I see to vmware solutions is licensing since it is a bit expensive, or the type of projects that are implemented with it and are obtained from the solutions I require when I move my data center. to manage all your platform I recommend its use, it allows you to manage esxi mainly, and connect vcenter for the administration of your IT platform, and thus improve the processes of your business. currently manages all my data center infrastructure, with vmware in all its layers both network, servers and storage. "Great (but not cheap) virtualization software"
"VMware is still the best hypervisor"
There is rarely a situation that we need in which VMware cannot meet. The support is world class, the interface and management is top notch and it is easy to use yet very powerful for advanced environments. Many actions still require the older Adobe Flash-based web interface but VMware has made great progress on their HTML5 interface. Don't even bother with another solution, just go with VMware. Start small in a lab and grow your solution, you'll be fine! Server virtualization is a huge market and a huge requirement for business. Other hypervisors may meet the need but they either require strong hand-holding, writing your own GUI or beating your head against a wall to make it perform simple tasks. VMware allows us to virtualize our servers and keep ROI low on physical hardware without causing a lot of stress. Less time spent on physical support for a range of servers, dedicated hardware and virtual machines provide a faster system, more focused support and overall less down time due to faults, reboots and alike. thanks to this powerful software I can manage all my cluster platform in my data center, being able to establish connections through the vsphere client, to manage the esxi as the vcenter, for the administration of all my IT platform. the creation of an integrated client for linux is missing, since in linux it is managed by the web client, its license is a little high, and sometimes in windows the application generates errors with. my recommendations is that if you are going to implement a solution of your IT infrastructure, do it with the best VMWARE. in its different layers it guarantees the continuity of your business. currently manages all my IT platform with vmware solutions including vsphere, which allows me to connect to different applications such as vcenter and esxi. "Effective Learning and Resource Management Tool for IT Professionals"
We have several servers set up for virtual machines, and resource sharing, and vSphere makes it easy to manage what resources are available. It is not the most intuitive software, and requires a lot of training. Users should already be familiar with VMWare, and how hypervisors work. There is a definite learning curve, so make sure you spend time researching features. As with any software, the more you use and experiment, the more you understand the capabilities and how to access them. We have 100+ students who create virtual machines in VMware, and we use vSphere to manage the machines, as well as our servers and network resources. "easy administration of the IT platform"
where I use vsmware vmware in our IT platforms, for its ease of administration, plus it can integrate different applications, in the same physical server, because this technology allows me to virtualize my physical host to use its pool of resources for creation of virtual machines, gives me the opportunity to run different operating systems, in the same host thanks to virtualization, saving resources to maintain the operability of our IT platforms. without a doubt the issues of licensing is something for everyone confused at the beginning when you want to acquire but then you understand and understand how they work and which are the ones that can be adapted to your needs. I used different virtualization tools but the best of all are the VMware I do not have the slightest doubt about, the way in which VMware communicates with the pool of physical resources of my servers is simply great. in the company we had different physical servers for each application, both emails and web applications, we were implementing vmware vsphere at different levels and we optimized so many physical spaces in the data center, as well as energy and air conditioning facilities as there were less physical equipment, we virtualize other servers and migrate the applications to the virtualized ones, thus having HA in our IT infrastructure. "vsphere 6.5 goodbye to flash and welcome to html5"
use vmware vsphere in its new version 6.5 allows me to virtualize my server to run virtual machines in taking advantage of all the resources that my physical machine has, it is worth noting that vsphere administers me in a centralized way all my created instances, the virtual machines that I manage go from database and web applications among many others. I like it because the services oriented to the high availability is absolutely wonderful makes sure that the virtual machines are started and available simply fantastic. We are relizando implementations in some servers with vsphere 6.5 for being the new version of vmware, in this version the administration is completely eliminated by the vmware vsphere client of windows, with the new version it is not compatible, and it draws our attention powerfully the security of Banner is the VM disk encryption and the associated encrypted vMotion capability. Combined, this means that vSphere is now able to secure data both at rest and in flight. See and manage the different aspects of the server environment like the performance, resources, data stores, storage, and get insights on the VM before logging into the server. The VMRC or VM Remote Console is a tool that lets you connect and log into the VM from vSphere without the need to use Remote Desktop Connection or any other remote tool to log into the server. It doesn't allow easy movement of VM guests from host to host requiring vCenter server to provide HA High Availibility to reduce downtime and provide redundancy. Make sure the ESXi host has the hardware requirements to meet the resource needs of the VM guests you plan to manage within vSphere. Make sure the storage needs are met to make available to the VM guests. Once you have your VM guests, datastores, and other things setup within vSphere, monitoring and managing the VM guests can be done with little maintenance to have time to take care of the things that need your time. Reduced power consumption by converting physical servers to VM servers. Single point of management for several servers instead of having to use Remote Desktop Connection and other tools to do what I now do within vSphere. "Bast Solution for Manage Multiple Machine in Virtual Environment"
vSphere Licensing cost is little bit high, also required more power full machine for use this. We are using Vsphere 6.5 in our DataCenter environment. It is easy to install and configuration We easily create new machine from template if any urgent need and save much more time. We already clone all our sensitive servers, also we have good experience to use snapshot for revert back any corrupted VM. We can easily manage machine resources with multiples VMs. "Vmware vSphere is the juggernaut of virtualization"
You can quickly and easily roll out new virtual machines to serve all sorts of purposes and can easily move them around with vMotion if you have the paid version. The free version has limitations, such as how many cores a VM can have at one time. Start using it and learning about features. This is one of the best virtualization tools in the market. We use this to host all of our vitualized servers, from imaging to file storage, to mail. Its pretty works for managing the virtual machines HA,DRS .it is also support for virtual network mechanism.it supports all vmware tools for managing the graphic ,speed etc..
i don't have anything in this product.but cost is too high for small company. You can save your hardware and power consumption ,you can maintain any number of host in the single machine. we are able to manage all our host and vm in our organization.it helps to power consumption, reboot time etc..
VMWare is the best virtualization software, easy to use, feature packed, reliable and rock solid. The free Hypervisor is fully functional, while the paid versions add fault tolerance, clustering, high availability and live migration. The full version of VMWare can be quite pricey. Definitely consider using VMWare. We have tried other virtualization packages and they are not as polished. For some, we have had stability problems where the VMs or hypervisor crashes! VMware allows you to consolidate physical servers into fewer virtual servers, making them easier to deploy and manage. They allow you to more fully use your existing hardware instead of letting them sit idle most of the time. "How VMware changes your estate"
Get a trial of VMware first and make sure it is EXACTLY what you want as it can be a very costly installation. There is a lot that I like about VMware vSphere. It is a very capable server virtualization platform. In the past, IT Departments struggled with server sprawl. Every server-based application was supposed to run on its own server. With vSphere, you can run multiple virtual servers on a single, physical computer, even if the virtual servers are running different operating systems such as Microsoft Windows and Linux. vSphere lets you take snapshots of the virtual servers when needed to allow the option for rolling back to a previous state (helpful for things like testing out patches without having to make the change permanent). vSphere also allows you to create templates of of virtual servers that can be used to create new virtual servers pre-configured and patched. You can also clone active virtual servers which is useful when you are looking to upgrade an application and need to test it while still maintaining the active production environment. With add-ons such as vCenter, you can further extend the capabilities to include automated fail-over of virtual servers in the event of a host failure. You can also migrate live, active virtual servers from one host computer to another without impacting users. I could go on and on about the things I like about vSphere. It sits at the heart of my data center and I have designed our data center around it. Not much. The licensing can be a bit confusing at times. The product is available in different tiers, such as Essentials, Standard and Enterprise Plus. As you move up from the bottom tier, additional features are added. You need to understand the features at each tier to determine which product you need. I have used Citrix Xenserver and Hyper-V as well. I strongly prefer vSphere over them both. Much better interface. VMware regularly releases improvements that make make it more flexible, more powerful, and easier to manage. Over there years they have added the ability to use live migration to virtual servers and virtual disks. In the x86 world, VMware invented server virtualization and they continue to stay ahead of all the other companies, including Microsoft. VMware vSphere is just awesome. It works well. It is rock solid. And it makes deploying, supporting, and managing the server environment so much easier and better. We have realized so many benefits from our use of vSphere. We have eliminated many physical computers and have been able to consolidate onto a smaller number of more powerful, expandable computers. We are able to have a very usable test environment without having to dedicate additional expensive hardware. We also have an improved backup and disaster recovery design since we can back up the full virtual servers that can be run anywhere we need. We are able to bring down physical computers by live migration of the hosted virtual servers to other computers, reducing the amount of weekend/off-hours work. We now have a highly expandable environment where we can easily add more memory or disk space to virtual servers as needed. We have even been able to virtualize existing servers that were running on touchy, older software and move it to the virtualization environment so that it was no longer running on risky, older hardware. Plus, because it is now running on newer, faster hardware the application can run faster. We use VMware vSphere for more than 5 years in our company. Say what are the things I like VMware really take a long time, but get to the point. The stability and reliability of the platform really make the best virtualization solution in the world, no doubt. I have tried other products and none is up to VMware. In addition to easy deployment in the data center, the features offered by the administrator are amazing. For example, HA, FT, vMotion, are all features that protect information and achieve use of infrastructure completely. It is the pioneer in virtualization on x86 platform, and today it is not possible to think in environments that are not virtualized with VMware. I really dislike few things VMware, but one could say that within those few things is the operating speed of the Web Client. It could improve a lot in this regard, for example by allowing use Flash for your interface. It should also keep the windows customer in the future release of vSphere 6.5. As I said earlier, a recommendation would be that the Web client performance is improved. That interface with Flash is not at all attractive and quick to use. Furthermore, it should include more integration with otroas platforms. We managed to solve all the problems of return on investment, ease of management and maximize data center physical resources nustros equipment. We will also implement desktop virtualization. "Forever changed our Server Model"
Super productive to be able to have a new virtual server up and in production in less than 15 minutes. It used to be weeks before this would happen with physical server, between ordering the server, waiting for delivery, racking, updating drivers, installing and updating the OS. Getting used to the vSphere web client has been a little difficult but that's because I'm so used to doing all my daily tasks with the the client app. Best in class virtualization software. In my 18 years at my current job, easily a top 3 decision to go with VMware. "vmware the backup of your IT infrastructure." the ability of the algorithm that vmware uses to communicate with the host and optimize my pool of resources (memory, processors etc) allows me to set measurement parameters to evaluate the performance of my servers that have improved a lot since i am using vmware. the price of your license is by numbers of processors, and it is a little high, but the advantages it gives your infrastructure are imprecise the performance that your data center acquires by using standard tools and under ISO. I like it because I can control my virtual machines from a centralized environment, with vcenter to make hot migrations of my virtual machines moving them from one cluster to another without interrupting the service and in a controlled and automatic way. 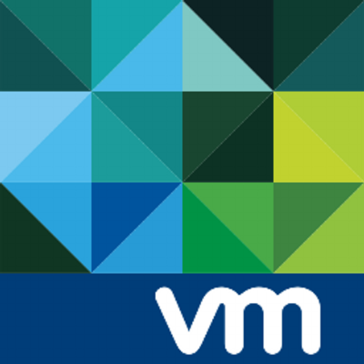 "VMware vSphere is the industry standard for a Hypervisor"
The vSphere client allows you to connect to the vsphere host and do all sorts of functions on your virtual machines. I like vSphere because it is rock solid and integrates into other really useful products like veeam and zerto. Virtualization in general has been an incredible, industry changing, invention. I find it to be the industry standard. Consolidate many servers to one. Gain the many benefits that virtualization offers, the ability to easily backup / DR / vMotion / Storage vMotion. Easy upgrades to new hardware, the benefits are incredible!
" the virtualization standard of data centers." the way how vmare communicates and takes control of my host, is a way that manages more efficiently than any existing virtualization tool in the market, it takes full advantage of my resources, without a doubt the best what can exist in this area, the way cm storage vmotion communicates with my clusters, as it is replicated in the different clusters, gives me a confidence and confidence in using their products. without a doubt a good solution, not all the time with a high payment, the only thing that would criticize your solutions is the cost, which is a bit high. simply the best virtualization tool that can exist, if you are doing a new implementation in your vmware data center you should use. "A significant improvement from Hyper-V"
Ease of setup. Our Hyper-V cluster was a nightmare to set up initially. Getting ESXi loaded onto each server and getting it configured was a comparative breeze. Documentation is wonderful and consists of multiple PDFs broken down into every element of install and management. Tools to convert and migrate our old Hyper-V VMs to VMWare worked OK, but was clunky and slow for large servers. Ended up being far, far faster to rebuild a few machines then restore from backup then running the standalone converter. When we finally got the budget approved for VMWare, we made the switch. The total cost was far less than what I had originally anticipated, which was nice. It's super easy to setup and get started. With VMware vSphere you can create virtual servers to meet your organization needs. These VMs runs on shared hardware resources hence saving money. We've been able to re-purpose some older servers that were not being used. We are currently using vSphere for some non-critical business applications. The hypervisor has allowed to host some apps we did not have room for on other servers. I just find one cons of this software, the price. Is a very expensive product, one of the more expensive in the market. Since we are on the free edition, we are hitting some of the limitations with basic features. Greater use of resources, and peace of mind in being able to snapshot before updates. Easy to expand hard drive capacity. No need to install software for management - it is all web based now, which takes getting used to. Easy to get demo licenses to try out additional software. All downloads and licenses are on your account when you sign in to your profile. I was easily able to set up various versions of Windows, MAC, Linux, and even DOS systems in minutes. It was a little tricky to get 3D graphics hardware to emulate in the system - needed to know how to set graphics card properly. Takes getting used to the web only interface. Great website - downloads, license keys, trials, etc, are all on their website under your account once you sign in. "vSphere - great product for managing virtual servers and desktops"
Easy to use interface. Logical interface. All options are logically located around the screens. For the most part, the software is very well though out. Also like the extreme extent to the event logging that occurs in real time. From a service perspective, their knowledge base including both user submitted issues, and noted official KB's is extensive. Lots of issues can be handled without vendor engagement due to these knowledge base articles. They come in very handy when it comes to upgrades as well. The cost of the various VMware products are fairly expensive. Spend time consulting with VMware. Explain your wants and needs to them, and have them consult on a recommended setup. Always have a safety net of resources available. We found the scope of the VMWare services escalated quickly with everyone wanting to jump on board. We were lucky to be able to contain all the requests with our original procurement of hardware. Centralized location to manage a ton of systems. Makes administration of these systems very easy. Can make subtle changes on the fly to different systems. "Solid, feature-rich enterprise level product"
Enterprise level support and unparalleled scalability. VMware vSphere also offers you a rich level of configuration options so that the implementer can tailor the tool according to any environment. The vMotion feature is powerful, providing a full and seamless move of VM allowing for full business continuity. At places I've worked where there are two or more data centres, vMotion has proven to be invaluable during times of data centre outages. The price is high compared with Microsoft Hyper-V. As well, for smaller companies, vSphere may be way too over-featured and add way too much overhead. Use this tool for it's core use - managing VMs - and not other add-ons such as Horizon where those technologies are less mature. The ability to save costs on purchasing physical servers by compressing many virtual servers onto hypervisors. Also allows much more flexibility for keeping redundancy and integrity of individual VMs using vMotion and other baked-in features. I think VMware has been one of my best experiences in virtualization. This is a software that lets you manage multiple operating systems in a virtual environment, so you will have the opportunity to implement on a platform with a system such as Windows or Linux, other virtual machines with different operating systems. In this way, you will have a full hardware emulation of different operating systems. Overall, I can honestly say that there are not many things I dislike about the product. I would like the user interface to be improved a bit, but even so I find it very understandable. Last thing, they may reconsider the price to the customer. If you are relatively new to work in this field, this is the product to start with the best, thanks to its complete versatility and intuitiveness! Here we use VMware for anything related to the server, in addition to virtualization to save time in terms of hardware management. "the standard company in virtualization"
the ease of integration of my infrastructure with the different solutions that I have acquired, the ease with which I can manage my data center in a very easy way, thanks to its easy interface, allowing me to manage my storage to have control of my data storage and control the consumption of those resources of my virtual machines. The only thing that I do not think is the price of your license, however, the solutions applied by VMware have helped me solve many problems. If you want to have full control of all the resources of your data center and ensure business continuity, they are the ones to take your data center forward. "the number 1 in virtualization of data centers." the ease of how vmware serves the services for the administration makes it the most reliable and efficient in the market by implementing menus, pleasant and easy to use to clients in the graphic aspect, how to optimize and take advantage of the resources of our platform. the best of all. the only thing I dislike about VMware is the cost, it has a high cost but over time you are solving and taking account of how much vmware saves you in energy consumption, and other facilities of your data center. simply the most robust and efficient in the world of virtualization, in addition to the quality of its operators when it comes to support.
" Data center with vmware." What I like about the different functions that vmware offers is the portability and mobility that we can give servers, in terms of migration, cloning and optimization of our hardware resources, which allows a level of trust for these infrastructures. What I do not like is that their functions are very fragmented and a lot of licensing is needed to have an optimal infrastructure, so the cost of each license makes us re-plan each project and what we will use of VMware. What I recommend to other users is to see the magnitude of their projects and study each of the packages offered by VMware which suits their projects and needs. The performance of this product seems to far exceed hyper-v. The management of the guest VM's as well as the management and configuration of the host is far easier. You have far greater control and detailed settings than in hyper-v. By comparison, hyper v seems more like an after thought where as vmware seems far more planned and professional. Its fast and easy to install, maybe 15 minutes at most. There isnt much about it that I don't like. The restrictions on memory ended in 5.5, which was my only complaint. The base install of vsphere is good but benefits come when purchasing at least the essentials or essentials plus licenses. You'll get management capability through vcentre which allows the management of multiple hosts through one console. The API's that you get with the paid version will allow you to use backup software directly to the hypervsior. There are plenty that connect directly to the host, allowing quick backups with de-duplication as well as quick restore of a vm for fast recovery times. We have reduced the amount of physical servers on site from 14 to just 4. Backups are easy and restores are very fast. Every new server that I deploy at any site will be running this as the hypervisor. The fact you can manage all your servers from one convenient location, The ability to set up replications and alter settings quickly and easily. bringing a replication online is very long winded. It works but it isnt as good as hyper V anymore. Hyper V has progressed massively where as VM ware seems to have gone a bit stagnant. We used to have full physical servers and this allowed us to go fully virtual. This has saved time, money and repairs. "Industry Standard for Virtualized Servers and Management"
This is the industry standard virtual server management system. It runs on a custom Linux OS (VMWare ESX) which eliminates the overheard hits you would get with Microsoft's Hyper-V offering. However, as opposed to Hyper-V, vSphere is not free. The increased performance and vastly superior configuration toolsets and monitoring make this product worth the licensing costs. Additionally, VMWare's vSphere supports a wider variety of operating systems, including Mac OSX to run as a Virtual Machine compared to Hyper-V which is basically Windows only. If you are not familiar with Linux and you are coming from a Windows based virtualization toolset, the learning curve can be steep and setup can be tricky. This is to be expected, however. Outside of the learning curve, there is very little to dislike about vSphere. I have noted a couple quirks, though. First, the Guest OS viewer in the vSphere client can frequently fail with "connection issues" and so far the only fix we have found is to restart the workstation that is running the vSphere client. Also, I would have preferred a little more straight forward way to manage snapshots and the datastore. How you navigate the datastore is a bit odd and not in a traditional menu. Be familiar with, or ready to learn, Linux. We have four vSphere servers running four to five virtual machines each. These four servers have replaced, hypothetically, up to 20 physical servers. 15 servers removed from our server room drastically reduces our energy use both for the servers themselves and the cooling costs for the server room. I like the fact how VMWare is getting involved with the "software defined data center" and how vSphere is the building block for this. vSphere has evolved significantly from ESXi 5.5 and the newer version of this (6.5) is absolutely a step in the right direction of getting rid of third party dependency (SQL Server, Windows Server) etc to run vCenter and with the appliances, vCenter has native HA. vSphere Enterprise Plus is not cheap and if you want to get management pack, licensing those becomes very tricky. We are controlling VM sprawl, we are automating VM deployment in a pure self service model and we have the analytics to bill directly to Lines of Businesses and have a granular view of what our environment looks like. With NSX, we are able to secure our VMs and the networks by micro-segmenting VMs across the wire. "VSphere - The best thing since sliced bread"
Vmware has helped our small company of 35 users become less dependent on hardware and let's me spend more time worrying about the other issues that come up. vSphere is easy to use and has a lot of community support as well as professional forum support. The only thing I can say I dislike about vSphere is the web agent VMware implemented instead of the C# program that has been standard up until version 5.1. I can't say it enough, this product is great and has saved us so much time and energy. We are solving the greatest one of all, time. The time spent just to recover 1 machine is greatly reduced compared to bare metal restores you would have to do before virtualization. "Good and complex but could be better"
VMWare for fact is best virtualization company. The amount of complexity and option that's available will suit every company. Mostly offers what other company do, here I do like their Hight Availability with share storage, no downtime, or Fault tolerant VMs that run on two hosts simultaneously. Power management is sublime, can move your VMs during night to one host and suspend the other to save power. Price and Licensing can be off-putting. They developed fantastic (for me) web gui vCentre however there are things you can only do from desktop client (updates) and things that can only be used in web gui (new hardware version 5.5+) I sure hope they will make all features available in both desktop and web for administrators to pick what they prefer. Best available virtualization platform, compatible with all OVFs. Most third-party supported solution. reducing physical servers, better management and availability. "Solid virtualization platform, API capabilities not as simple as OpenStack"
They have are a proven leader in the virtualization world with all the features you can ever need. As of vSphere 5.5, the API was based on SOAP and was extremely complex. Even with the available libraries out there for Python (pysphere for example) which abstract somewhat the complexity, it is still a challenge to accomplish simple things via the SOAP API (such as adding a network card to a VM and connecting it to a DVS). Comparing this to OpenStack's REST API which is much simpler and requires less code to accomplish these simple tasks. Consider OpenStack (Mirantis) first as in my opinion vSphere is not comparable to a true cloud OS such as OpenStack (even though they do offer VMware integrated Openstack but I don't see the point in it). Running a virtual environment rather than bare metal allows me to reduce hardware costs (although the licensing costs of vSphere are extremely high). This also provides hardware redundancy for my virtual machines so it is less a must-have for HA at the application layer. I can now treat my servers with code-defined-infrastructure methodologies. * We monitor all VMware vSphere reviews to prevent fraudulent reviews and keep review quality high. We do not post reviews by company employees or direct competitors. Validated reviews require the user to submit a screenshot of the product containing their user ID, in order to verify a user is an actual user of the product. Hi there! Are you looking to implement a solution like vSphere?